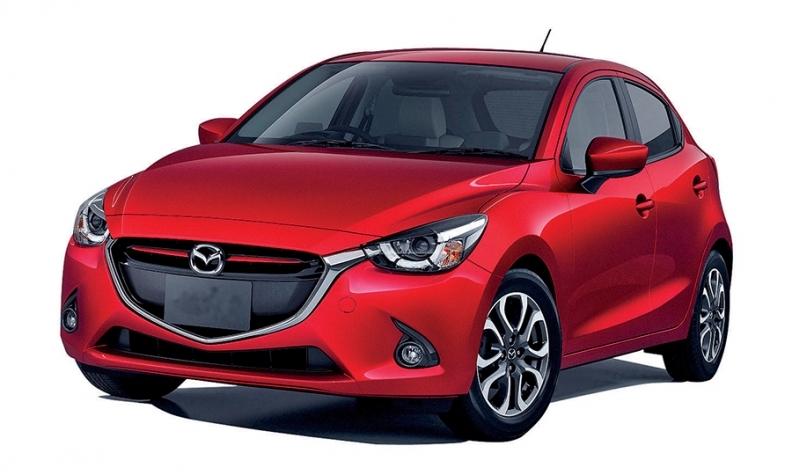 The 2015 Mazda2 has an all-new platform. Click here to see a PDF timeline of Subaru, Mazda, and Mitsubishi's product plans. Mazda continues to roll out product changes at a pace that's more associated with the world of apps than autos. The company is working to make significant product updates quickly, with some vehicles undergoing major changes in back-to-back years, such as the Mazda6, which gets a new interior in 2015 and new sheet metal in 2016. It was redesigned in 2013 for the 2014 model year. Right now, Mazda is in the middle of what it calls its "sixth generation" product, defined by the initial deployment of its Skyactiv vehicle platform architecture and powertrain portfolio and its "kodo" design language. Kodo is Japanese for "soul of motion." The seventh generation, for which Mazda will roll out all-new platforms and sheet metal for all of its products over five to six years, starts in 2018 with the redesigned Mazda3. Here's a look at what Mazda has planned until then. Mazda2: U.S.-bound production of the redesigned Mazda2 begins in November. The subcompact rides on an all-new platform using the Skyactiv architecture and powertrains. Base models will get power from a 1.5-liter four-cylinder Skyactiv engine; Mazda also will offer a sportier Mazda2 with a 1.5-liter modified with a freer-breathing intake and exhaust for increased power as Mazda seeks class-leading performance among subcompacts. Mazda3: The Mazda3's next major change is a 2017 model year re-engineering that will give the sedan new sheet metal in the second half of 2016. The new metal will be underpinned by a revamped version of the car's existing Skyactiv platform. The change is expected to coincide with the return of the Mazdaspeed3 high-performance version to the lineup. Under the hood of the go-fast Mazda3 will be a turbocharged 2.5-liter Skyactiv engine -- also appearing in the redesigned CX-9 launching that year -- that will produce more than 300 hp in the Mazdaspeed3. The usual Mazdaspeed exterior touches -- such as a unique fascia, body kit and bigger wheels with low-profile, high-performance tires -- are expected to differentiate the car from mainstream Mazda3 models. Mazda also may equip the Mazdaspeed3 with all-wheel drive, making it a worthy competitor to the Subaru WRX STI and filling a void in the fast-compact segment created by the impending cancellation of the Mitsubishi Lancer Evolution. Then, in 2018, the Mazda3 will be redesigned on an all-new platform. Mazda5: With the small-van segment shrinking as customers migrate to small crossovers, the six-passenger Mazda5 will be phased out of Mazda's U.S. lineup in 2015. Mazda6: The interior of Mazda's midsize sedan will undergo major changes when its re-engineered 2016 model arrives in the first quarter next year. The sedan gets a new center console and a thinner dashboard that sits lower in the cabin -- a change allowed by the use of a thin infotainment screen that will sit atop the dash rather than within it. The overall layout will be similar to the Mazda3's and more upscale than the current Mazda6 interior. The Mazda Connect infotainment system that debuted on the Mazda3 also will be added for the 2016 model year. The car will get a new front fascia, and LED headlights will be added to some trims, with sheet metal updates coming the following year. MX-5 Miata: The fourth generation of the venerable MX-5 Miata debuts at a media event next month before going on sale next summer for the 2016 model year. The redesigned MX-5 is expected to be close to the original Miata in terms of dimensions and the roadster's roughly 2,100-pound curb weight. Under the hood will be a Skyactiv 2.0-liter four-cylinder engine mated to a six-speed manual transmission. Roughly a year after the soft-top goes on sale, Mazda will release a hardtop MX-5 that will have a unique, fastback-style silhouette, Automotive News has been told. Rotary-engine sports car: Work continues on the next generation of Mazda's rotary engine. If all goes well, the vehicle to house it is being imagined as a successor to the two-seat RX-7, not the four-seat RX-8. But it's still unclear when, if ever, such a car would hit the road. CX-3: Mazda will join the burgeoning subcompact crossover segment when the new CX-3 goes on sale next June for the 2016 model year, Automotive News has learned. 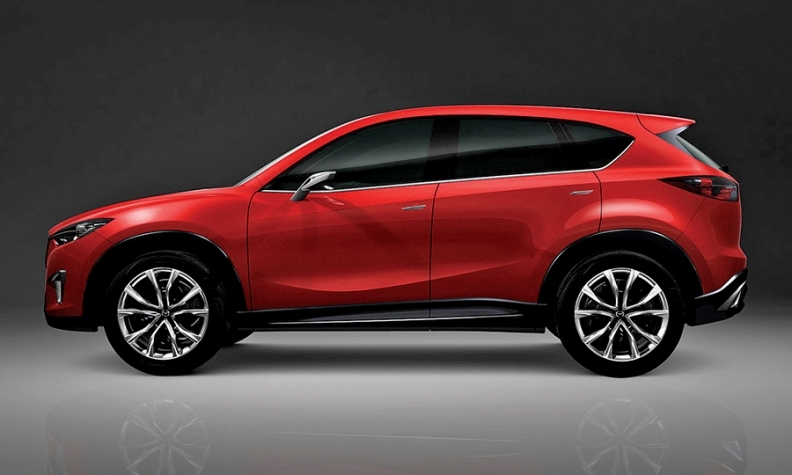 Although Mazda hasn't said so publicly, the CX-3 has been confirmed for the U.S. It will be built on the new subcompact platform that underpins the redesigned Mazda2 and have upright, SUV-style proportions to differentiate it from the Mazda3 five-door hatchback. Under the hood will be a naturally aspirated 2.0-liter from Mazda's Skyactiv portfolio, mated to a six-speed automatic. A manual transmission also may be offered. The 2015 Mazda CX-5. The interior will be updated for the 2016 model year. CX-5: The CX-5 compact crossover's interior will be freshened in the first quarter next year for the 2016 model year. A new front fascia and LED headlights also are included in the update. Then, in the first half of 2016, the CX-5 gets all-new sheet metal for its 2017 model year re-engineering. CX-9: Mazda's family-hauling midsize crossover will be redesigned for the 2017 model year and will go on sale in the first quarter of 2016. The CX-9's new sheet metal will reflect the kodo design language used in recent Mazda redesigns. The V-6 engine powering the current CX-9 will be replaced by a turbocharged 2.5-liter four-cylinder from Mazda's Skyactiv portfolio.